Helt igennem fremragende feriehus, der til fulde lever op til det, der loves på hjemmesiden. Fantastisk beliggenhed i rolige omgivelser og med en utrolig flot udsigt ned over bjerget. Alt fungerer som det skal, og ved problemer er der hjælp med det samme. Helt igennem super samarbejde med bookingkontoret. De svarer hurtigt og præcist på spørgsmål og er helt igennem behjælpelige med alle mulige (og umulige) spørgsmål. Meget professionelt. A very nice house, nicely furnished and comfortable. 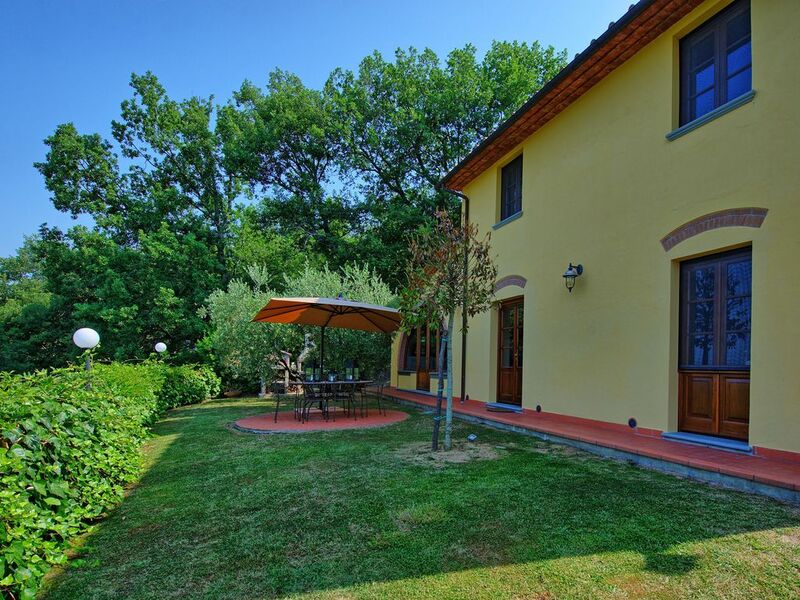 The house is located in the hills, far away from the city, so it is very calm and surrounded by the Tuscany landscape. The house has all the necessary equipment for everyday life (to cook, washing machine and iron table). The swimming pool is nice and big enough for kids to play. The landlord is welcoming and offered us a little welcome gift with olive oil, sweet Italian wine and Italian cookies. A place we recommend. wir verlebten eine schöne Woche mit drei Ehepaaren in der Villa Grazia. Alles war zu unserer Zufriedenheit, und der Besitzer Giuseppe war immer für uns und unsere Wünsche ansprechbar. Die Aussicht über das Tal war sehr schön, die Lage des Hauses ist sehr exponiert, so dass man beim ersten Mal den Weg schon sehr beschwerlich findet, da die Wege oberhalb von Monsummano Terme nicht in den aktuellen Navi ´s enthalten sind. Die beigefügte Wegbeschreibung war aber sehr gut, so dass wir das Objekt gefunden haben. Die Ausstattung des Hauses ist nahezu perfekt. Alles in allem ein Objekt, dass man weiter empfehlen kann. A beautiful villa, well maintained with fabulous grounds and swimming pool set in olive groves on the hillside. Friendly owners live next door who brought over complimentary olive oil and wine that they had made themselves. Beautiful terrace with barbecue. 3 large ensuite bedrooms-excellent property. Sarah, Birminghsm, West Mids. The property and the owner were way above what we expected. The villa was absolutely magnificent and was high on the side of the mountain with spectacular views. Clean and well managed. The owner was a very kind and extremely helpful man who could not do enough for us. We would definitely consider returning here.